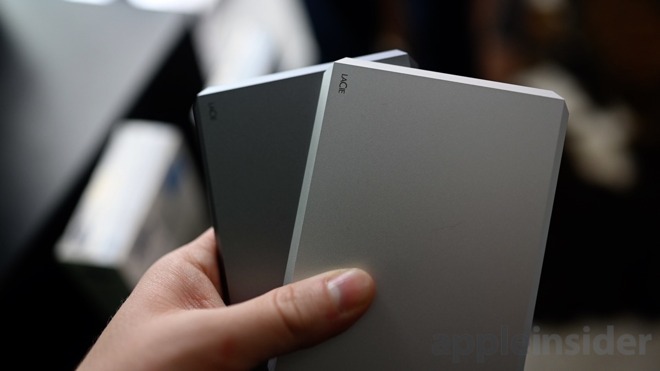 All the new mobile drives come in either space gray or silver aluminum bodies, the former of which are exclusive to Apple Stores and compliiment the space gray Macs. The mobile SSD has capacities up to 2TB in size whereas the hard drive models can handle up to 5TB. They each have a diamond-cut design with striking angles unlike any other mobile drives on the market. All drives utilize the USB-C port for connecting, and the fastest max out at 540MB/s. Of the LaCie mobile drives, the HDDs come with a two-year warranty and the SSDs come with a three-year warranty as well as a three-year subscription to Seagate Data Recovery. Pricing is not yet available. 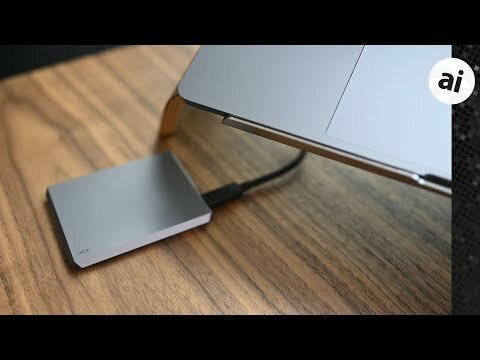 I've had so many problems with LaCie drives and such horrible customer support I will never buy another one of their products. I got a USB 3.1 gen2 enclosure on Amazon for like $15 to throw the SSD from my dead Mac in and it works great. I can’t imagine this enclosure’s going to be very cheap. A great convenience feature, not mentioned in review, is that both the SSD and hard disk versions are apparently powered from the USB cable. No separate power supply and associated cables. Nearly all of them are like that.